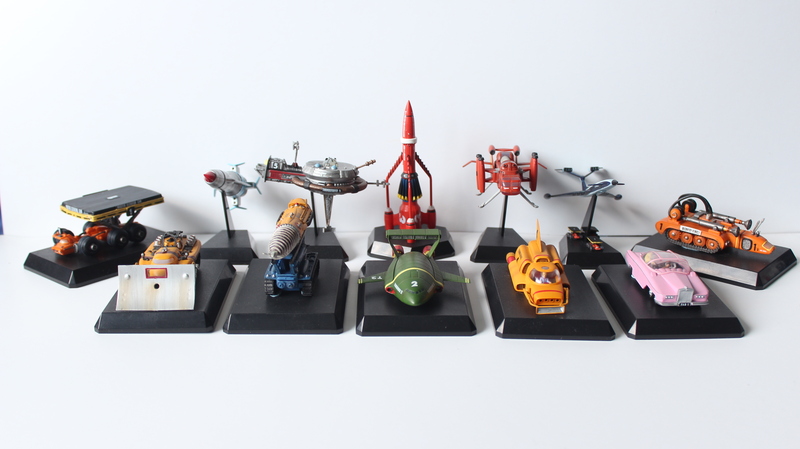 Ask any Gerry Anderson fan to list what they most enjoy about any of Gerry Anderson’s science fiction epics and the chances are that “the models” will feature somewhere on their list. 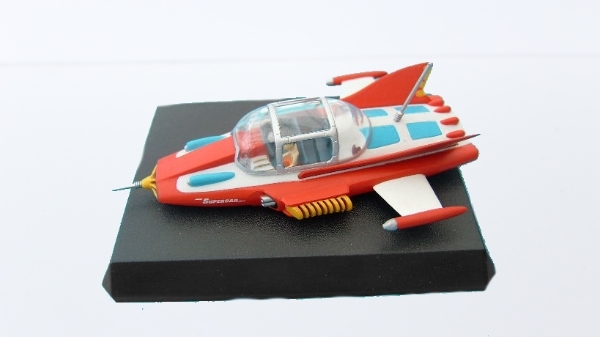 Since the early days of Supermarionation, right through to the present day, there have been countless models of popular and lesser known Gerry Anderson craft. 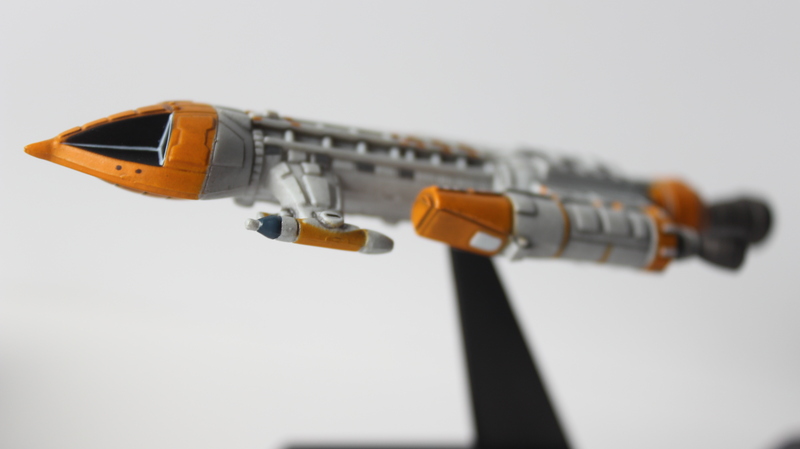 Some of the most highly regarded models have originated in Japan and are often far more detailed and screen-accurate than their counterparts released in the UK. 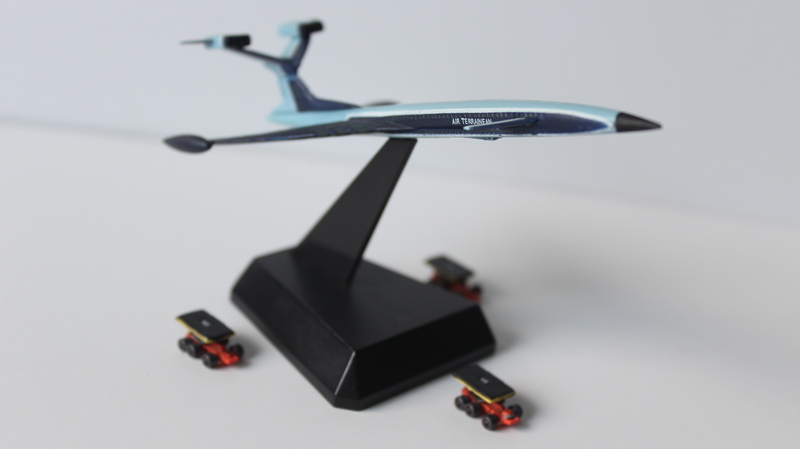 Around the millennium, on the approach to the 40th Anniversary of Thunderbirds, a Japanese company, Konami, produced a stunning range of model vehicles from numerous Anderson series, ranging from Supercar all the way to Space: 1999. Each model is mostly pre-built, necessitating the addition of only the most fragile components. The level of detail is simply astounding. The models are approximately 6-12 centimeters in length, but they feature detail and weathering that rival most studio-sized models. 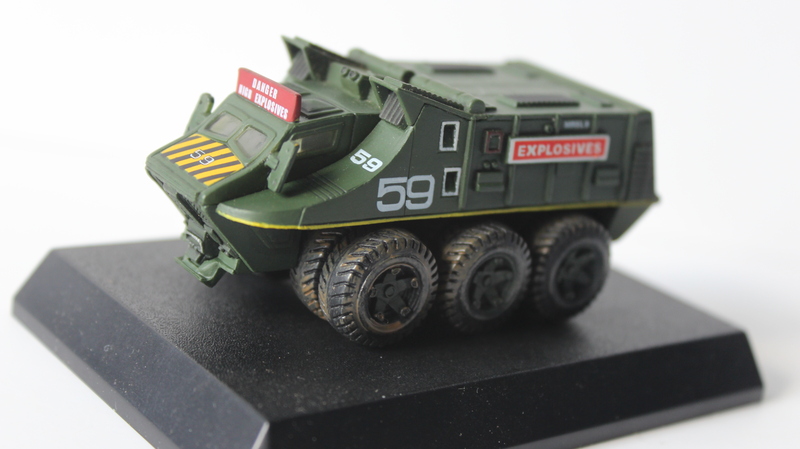 Let’s take a look at the series’ covered by the collection and some of the key vehicles in each wave. 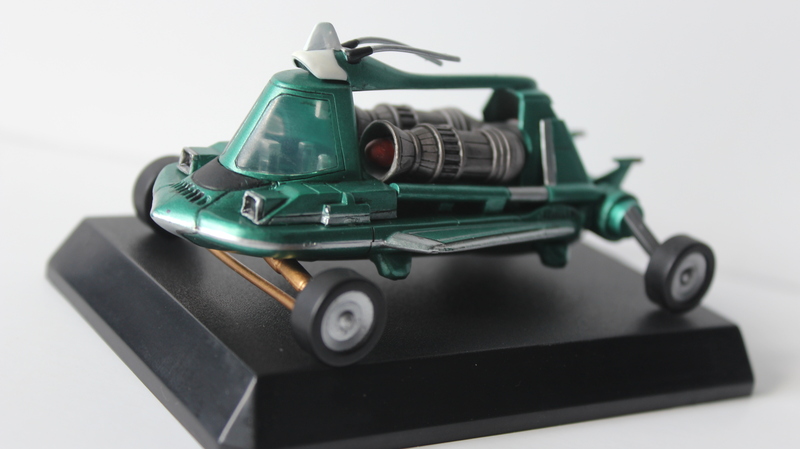 Supercar is the only vehicle represented from it’s eponymous series, released in the same wave as the Stingray, Joe 90 and Space: 1999 models. It’s also the rarest of all the Konami Models, so Masterspy will definitely have trouble getting his hands on it. Supercar is rendered in typical vibrant red, yellow, blue and white livery and features intrepid test pilot Mike Mercury at the controls. 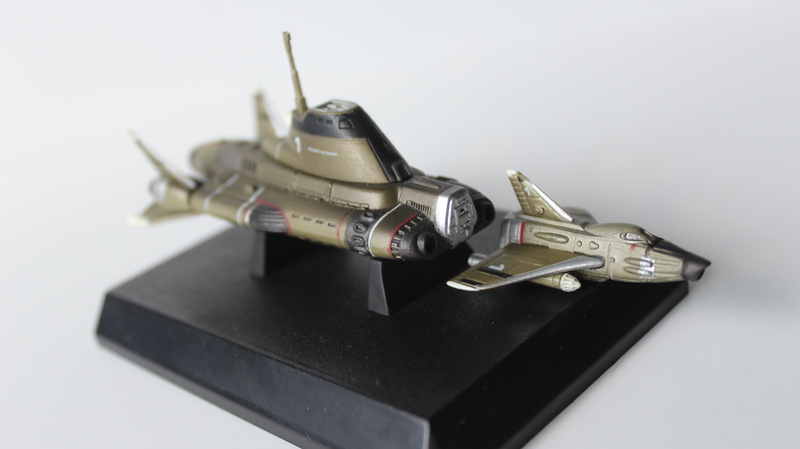 The flagship of the World Space Patrol, Fireball XL5 is another unique release, like its forerunner, Supercar. 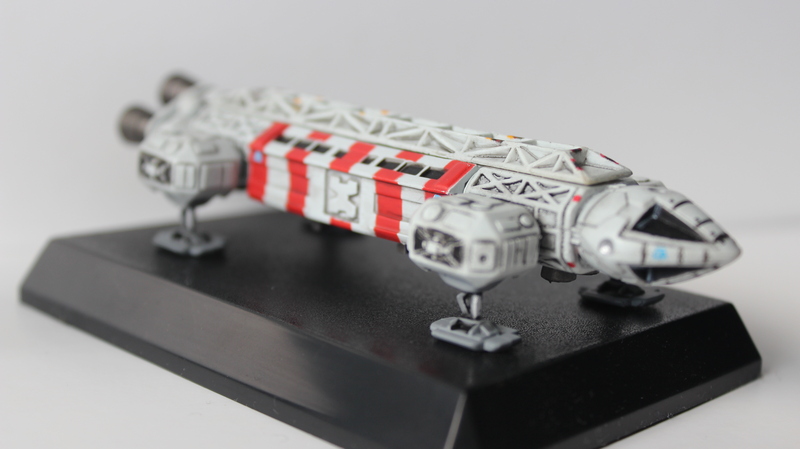 The only way to acquire it was to purchase the special twin-pack release of SID from UFO, and one mystery craft, either Fireball, or a Space: 1999 Rescue Eagle. 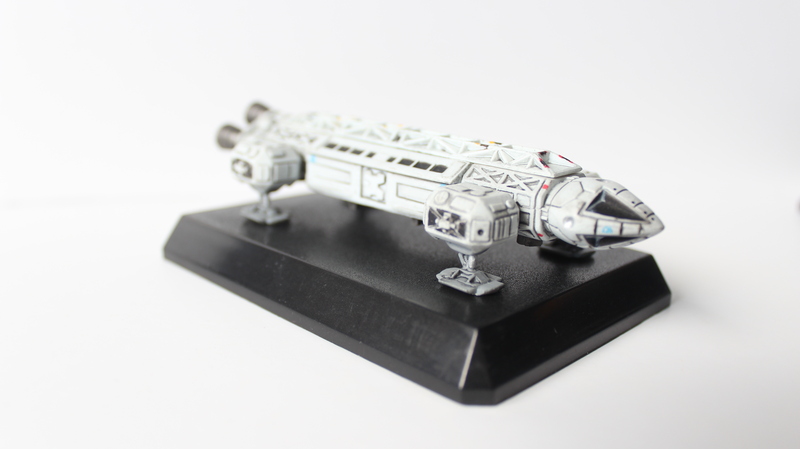 Fireball looks suitably retro and is finished in a very nice metallic paint scheme. 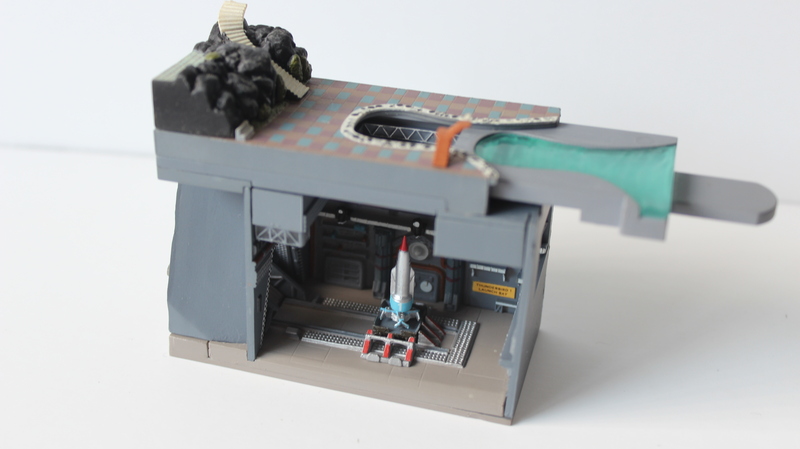 Fireball Junior is detachable, which is useful if you want to nip to the shops for space-milk and don’t have room to park the whole ship. 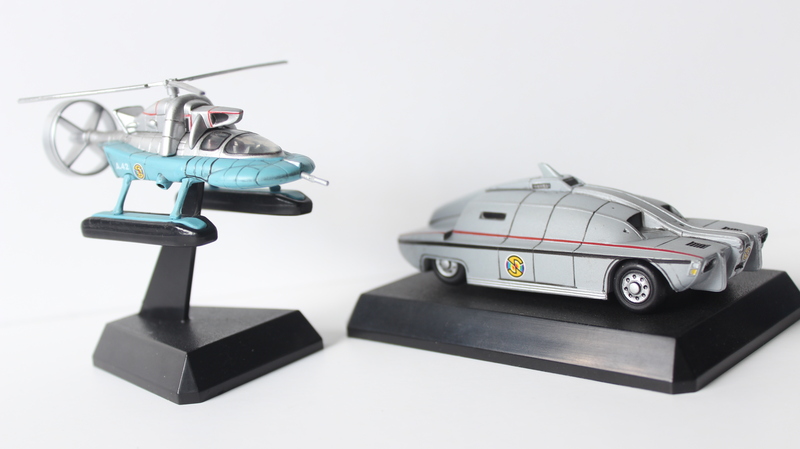 The Stingray vehicles accompanied the Joe 90 and Space: 1999 release wave and feature Stingray itself and a menacing Mechanical Fish. 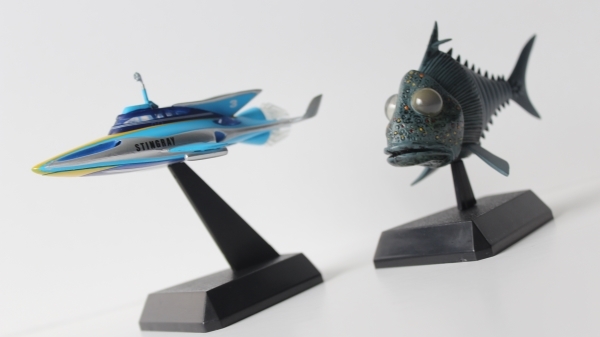 Superbly detailed, like all the vehicles in the range, these models are the perfect display pair, the sleek lines and bright colours of Stingray proving a great counterpoint to the rugged scales and dark hues of the Mechanical Fish. 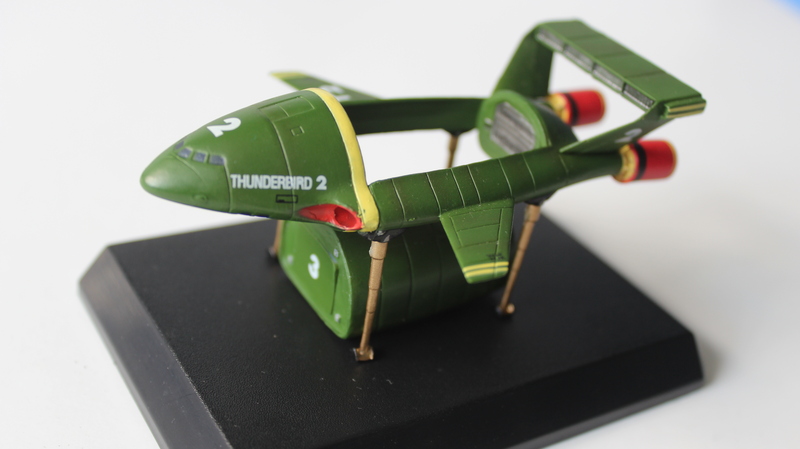 Being one of the most popular series in the Anderson universe, it’s no surprise that Thunderbirds has the greatest number of models of any of the waves released. 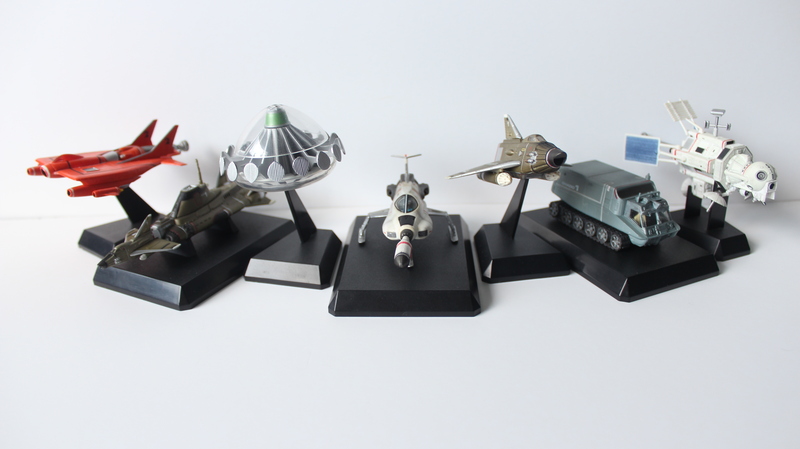 Originally available in no less than four separate volumes (two for the main range and two for the Pod Vehicles range), some of the vehicles were later re-released in a combined wave for the 40th Anniversary of the series. In addition to the five obligatory Thunderbird craft themselves, the range also features FAB 1, a number of pod vehicles and other craft such as the often-seen Helijet and Fireflash. Captain Scarlet & The Mysterons also features an impressive array of hardware, many examples of which appear in this wave. 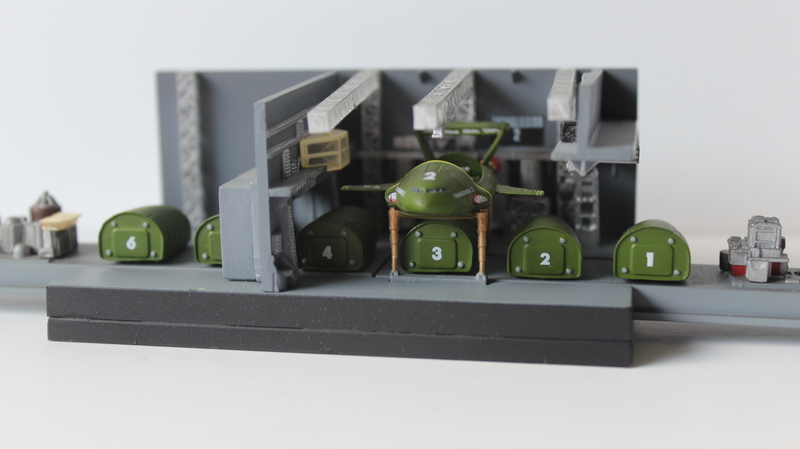 Most of the vehicles require the addition of their Spectrum roundels (included in the box), which is odd given that every other model features complete screen-accurate markings, but no matter, they still look fantastic. 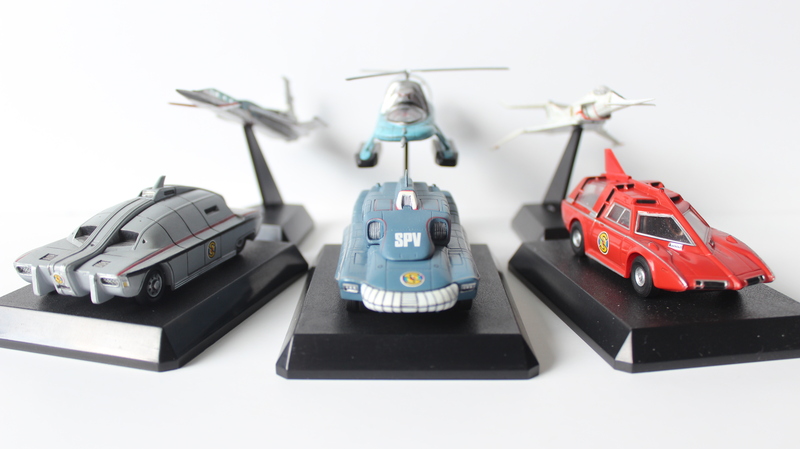 It’s great to see the Spectrum Helicopter and Maximum Security Vehicle included, as they’re frequently sidelined in favour of the SPV, Patrol Car and Angel Interceptor. While not as reliant on vehicles as the series that proceeded it, Joe 90 managed to feature plenty of interesting vehicle designs. 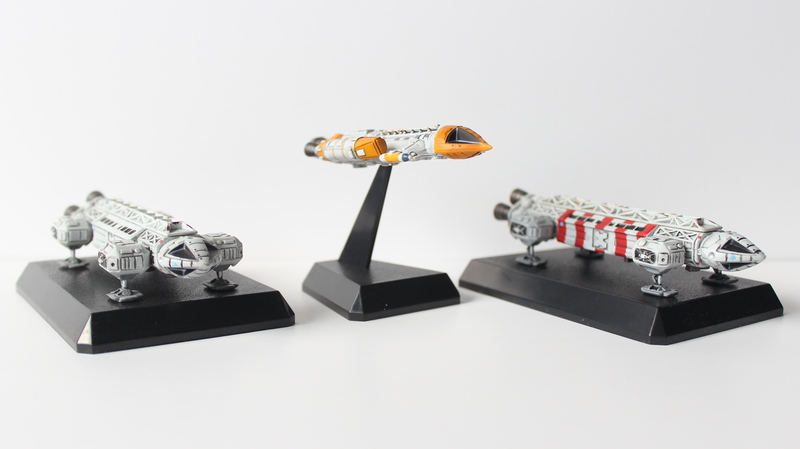 Two of them are represented here, released in the same wave as the Stingray and Space: 1999 craft. Mac’s car and the explosives truck from the episode ‘Colonel McClaine’ are present and correct and look wonderful. Mac’s car is just the sort of wacky creation that you’d expect the inventor of the BIG RAT to drive, while the explosives truck looks very sturdy and has some wonderful weathering detail. SHADO’s continuing fight against the Alien menace remains a firm favourite with science fiction fans the world over. 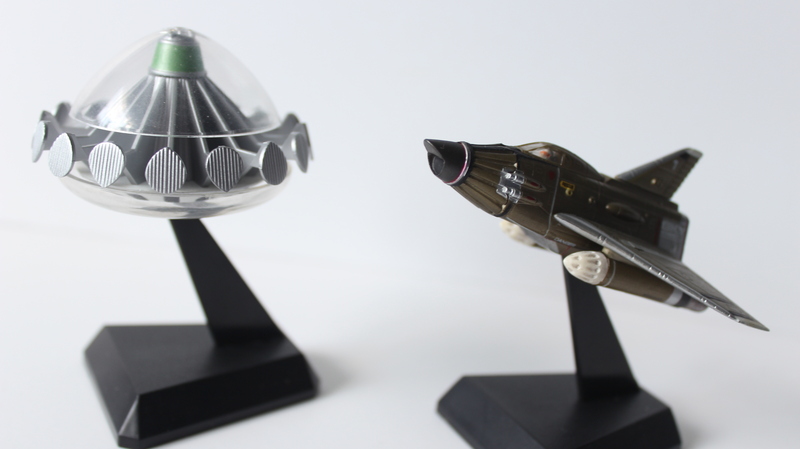 Like Thunderbirds and Captain Scarlet & The Mysterons, UFO has a wave all to itself, providing the collector with some truly excellent models. Whether you’re a fan of the iconic UFO craft, or fancy a dive beneath the waves in Skydiver (with detachable Sky 1! 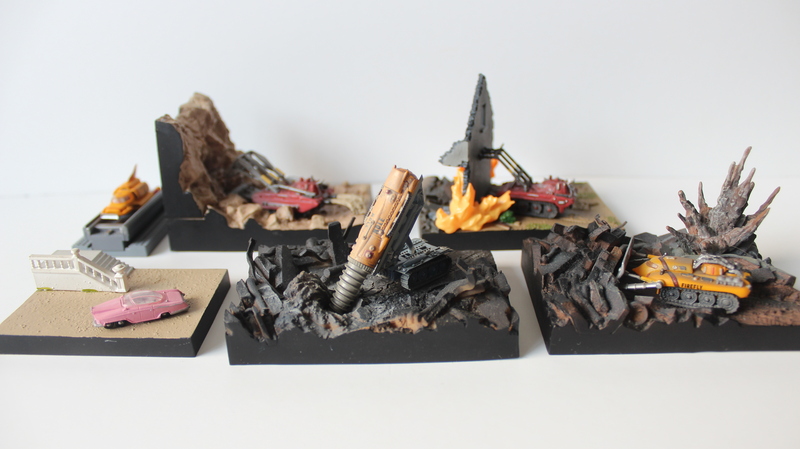 ), all of the main craft from the series are represented. 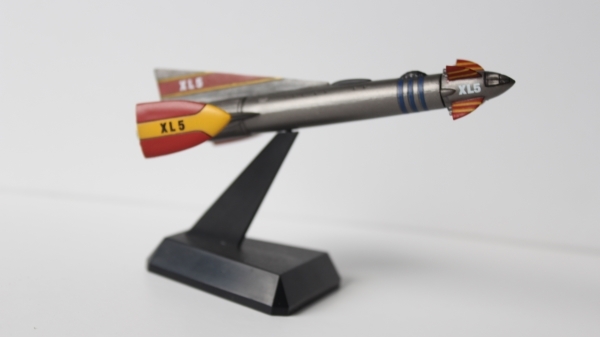 SID, the ever watchful Space Intruder Detector was available seperately, packaged with either Fireball XL5, or a Space: 1999 Rescue Eagle. Another fine science fiction series, with countless dedicated fans, two vehicles from Space: 1999 were released in a wave with the craft from Stingray and Joe 90. 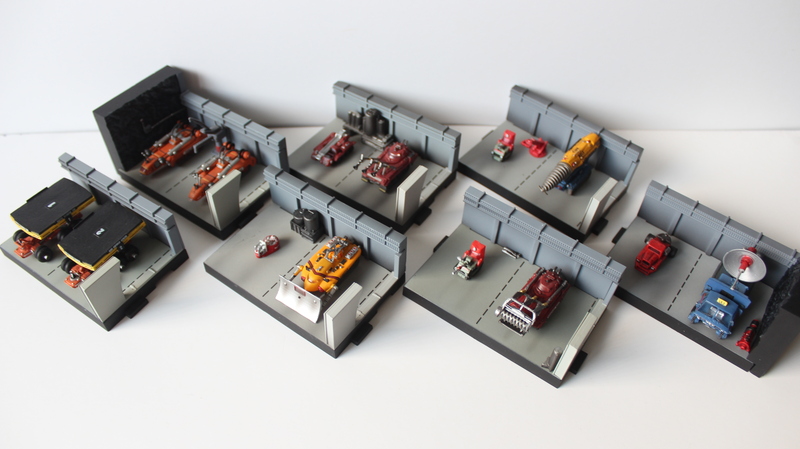 The iconic Eagle Transporter and the even cooler Mark IX Hawk look simply splendid when displayed together and the bonus Rescue Eagle from the aforementioned SID twin-pack completes the set in style. Just don’t let Koenig get his hands on them, you know what he’s like. And that about wraps it up for this retrospective analysis! We want to know what you think of these vehicles, and did Konami miss out any of your favourites? Let us know by leaving a comment below! Previous article Thunderbirds: The Most Dangerous Rescues! 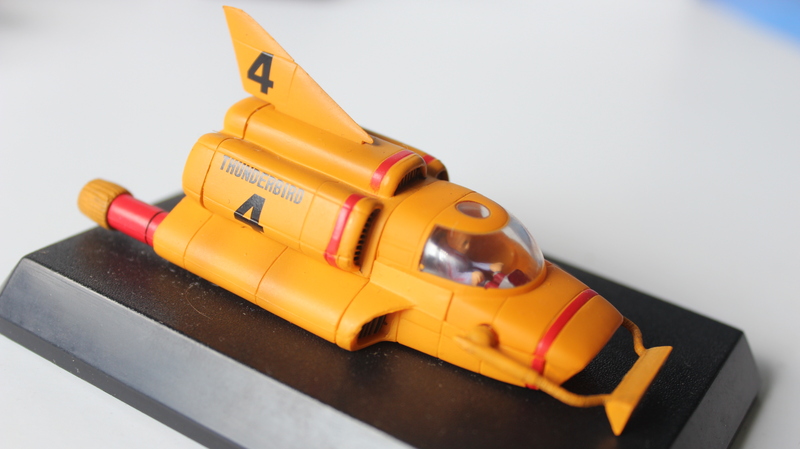 A writer, film maker and self confessed Gerry Anderson fanatic. Free to good home.